Either money or madness is set at the center of nearly every mystery novel—and of course money itself can be a kind of madness. The Victorians knew as much. Think of the eponymous miser of Silas Marner by George Eliot, the insanities that cluster around Wilkie Collins’s moonstone, or the crazed but calculating greed of Ebenezer Scrooge, which is only undone by ghostly visitations – or hallucinations, depending how you read the story. The Victorians viewed money differently than we do, for instance, most families spent the enormous majority of their resources on food – one of the facts that makes it difficult to calculate exact equivalencies between money in their time and our own. So what could a shilling buy, or a pound, or a thousand pounds? In my very first book, A Beautiful Blue Death, one of the suspects is described as being among the few richest commoners in England. A little research uncovered a useful fact: to be in that bracket of the two or three dozen richest men in England, he would have needed an income of more than a hundred thousand pounds a year. That may not immediately sound like a vast fortune, but it was a time, after all, when an average housemaid earned sixteen pounds a year plus room and board, when ninety pounds a year could buy a respectable London life, and five hundred a year an opulent one. Prince Albert, though he was Queen Victoria’s most beloved confidant, had an annual income of just (“just”) thirty thousand pounds a year. But the details I find most arresting are the small ones. How did the Victorians spend their money? Well, the smallest unit of currency in wide use, a farthing, could buy you three oysters with bread and butter, from a walking oyster-seller; alternatively you could buy a sparrow for the same sum, from one of the east end markets. This sounds cheap, but I’m guessing you don’t quite understand HOW cheap. There were four farthings in a penny in 1875, twelve pennies in a shilling, and twenty shillings in a pound. That means that for a single pound, the price of a Mars Bar in London these days, you could buy 960 sparrows, or 2,880 oysters, presumably with their accompanying bread and butter. Amazing, right? Now consider this: in the 1860s, twenty minutes with a really excellent prostitute cost 25 pounds, or 72,000 oysters. Dinner in a fine restaurant cost five pounds and five shillings. A silk tophat cost nearly a pound. A double box for life at Her Majesty’s Opera House cost (this is astonishing) 8,000 pounds. Few men could have afforded this of course, though certainly the Duke of Westminster, whose annual income exceeded 250,000 pounds. As usual, money tells us mostly about class. Those three oysters were an evening meal for many, while the privileged few of the Victorian period were laughably rich. In my new Lenox mystery, An Old Betrayal, I tell the story of an aristocratic family that has lost some of its fortune. Still, while the vast underclass of Britain would have lived on a few shillings a week, even a fallen aristocrat would have unthinkingly spent a pound on a dinner in a restaurant – more than a milkmaid, carrying large jugs in a yoke from her neck from house to house, would have made in a week. As one looks into Victorian money, the crime of the age seems to come into focus. If a general servant could count on sixteen pounds a year, and knew that her mistress had just spent sixty pounds on a new carriage, or four pounds on one of Thomas Crapper’s new indoor toilets (! ), could theft be far behind? If an educated clerk in the city was making a pound a week, ten shillings less than a skilled workman, is it any wonder that Trollope described that life of genteel poverty as nearly hellish? If the lowest maid in the shabbiest house only earned six pounds a year – for back-breaking labor, morning to evening, day after day – wouldn’t the prostitute’s 25 pounds for twenty minutes, or even a fraction of that, have begun to seem tempting? The truth is that the Victorians were like us in many respects, the first template for our own society – they were bankers and solicitors, fathers and mothers, they had restaurants and plays – but in the crucial matter of money they were still living, in a sense, feudally. The rich could afford insane luxury, and the vast multitudes of poor ate oysters, bread, and butter. Our own age, with its middle class, seems a better bargain. And its lower crimes rate seem certainly understandable. In 1971, Great Britain finally divided their pound into a hundred little units, a date that I find amazing; all of the teenagers buying the Beatles’ White Album in 1968 handed over shillings and ha’pennies, as if they were buying fruit from a Georgian costermonger. The change was a sensible one, of course, but it took some of the magic of the Victorian era, the gas lamps and horse-drawn broughams, along with it – a last little relic of the age when a farthing could mean supper. One of the manifold ways in which historical fiction brings us happiness is by restoring that sense of the past’s magic to us: its sparrows, its prostitutes, its oysters, its opera boxes, its daily human pulse. To enter for a chance to win a hardcover copy of An Old Betrayal by Charles Finch make sure you're a registered member of the site and simply leave a comment below. An Old Betrayal Comment Sweepstakes: NO PURCHASE NECESSARY TO ENTER OR WIN. A purchase does not improve your chances of winning. Sweepstakes open to legal residents of 50 United States, D.C., and Canada (excluding Quebec), who are 18 years or older as of the date of entry. To enter, complete the “Post a Comment” entry at https://www.criminalelement.com/blogs/2013/11/moneymaker-victorian-ideas-on-money-and-mystery-chares-finch beginning at 2:30 p.m. Eastern Time (ET) November 7, 2013. Sweepstakes ends at 2:29 p.m. ET November 14, 2013. Void outside the United States and Canada and where prohibited by law. Please see full details and official rules here. Sponsor: Macmillan, 175 Fifth Ave., New York, NY 10010. Love details like that. A Beautiful Blue Death is #5 in my current To Read list. Knowing it was this well researched may bump it up now. Love this time period, thank you for putting money in perspective, that was something I did not understand. A farthing for a sparrow is cheap – pun intended? This was fascinating reading, Charles! Waiting patiently for An Old Betrayal. 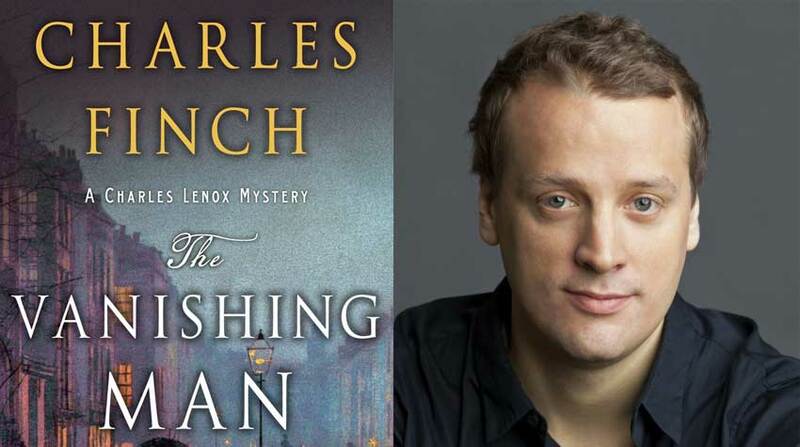 I just finished reading the first three books in Finch’s captivating Charles Lenox series, one after the other, and loved them all—MUST read more of Mr. Finch’s work! I love reading all the background and research that goes into the writing of the book. Especially interesting to me is Victorian England. I love reading the research behind the book. Especially interesting to me is Victorian England. Counting the days now, for the release. Wonderful, helpful research. I’ve already pre ordered my copy. If I win, I’ll donate it to a local library. Love reading about this era. I had no understanding of the Victorian money. Thanks for the explanation, another reason I love your books! Every time I read historical fiction, I always wonder about the numbers – the monetary conversion, inflation etc. This article has helped me to understand and question the context of the money though – how it is spent and what the economy was like. Thank you Charles! Also it is news to me that Thomas Crapper was in the crapper business! I remember reading that in Jane Austen’s time, postage was expensive. People saved money by writing in every corner of a piece of paper. Susan811, that’s true! People would also send empty envelopes to each other and then reject them from the postman – the receiver used to pay postage, and it was a way of letting each other know all was well without paying for it! I like the style. Hope I win! Quite the info. Looks like a great one! I love knowing about the money rate/exchange. It does help with clarity of character and motives. I’ve always been intrigued how people earn, spend and save their money. Even the servants. Which would I have been? 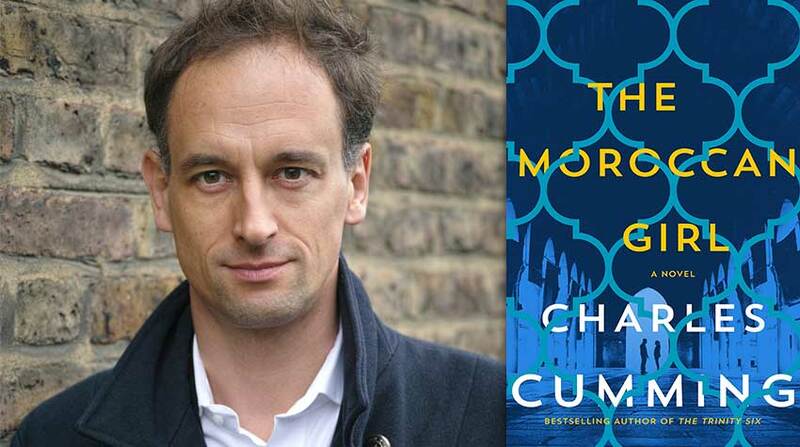 Modern brit lit is really exciting, but betrayals also are clues to a delicate plot. The emphasis on the Victorian economy is particularly interesting. I would love it, thanks for the giveaway. Sounds like a must read! I love Victoriana! Sounds quite interesting. I’ve always wondered about the British monetary system. As far as sparrows, I’d rather have oysters. Can’t be much meat on a sparrow. Hope I win; thanks for the chance! Looking forward to reading this… Thank you for the opportunity! I love a good mystery. Best wishes and luck to all. Looks like it will be a very good read! It is detailed research like this that makes you books so interesting. Thanks. very intersting learning about different era. What a great intro to a Victorian book! I’m excited and looking forward to it! Fascinating! It’s the knowledge of the little details like this that really add to the verisimilitude of the Lenox series. Thanks for sharing! Victorian is my favorite era! Looking forward to the read – thanks for the additional info! What a fun article ~~the book sounds wonderful! I love this series. Not just for the characters, but for the political and societal interest. Also the atmosphere he creates makes you feel you are in Victorian London. This book sounds interesting and I can’t wait to read it! 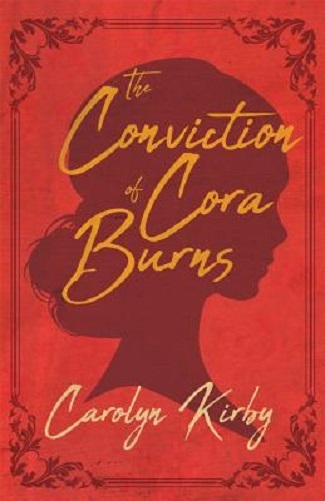 I love all things Victorian, and so this book sounds like something I would really enjoy. The money has always been confusing to me! This book sounds really interesting. Would love to read. An Old Betrayal looks like something I’d want to read. I love the victorian setting. Very interesting information. The detailed breakdown makes it much more ‘real’. Thanks for the chance. 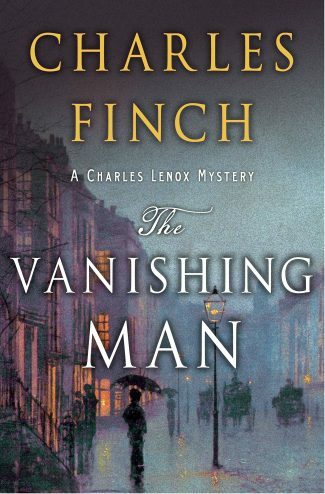 Charles Finch is one of my very favorite authors! I would LOVE to win a copy of his new book! The gap between rich and poor was so noticable in those days–but today we seem to be regressing back to those times. Such an interesting time–and money is always to important so it’s nice to know some of the details about it. This is a new author for me. I look forward to reading this book. Thanks for the sweepstakes. Love the victorian era and the info about the money is very helpful. I am fascinated by all things English. I read many a mystery from this time period and i am always up for an author that can bring something new to it. I love historical novels, and would welcome the opportunity to enjoy [u]An Old Betrayal[/u]. This definitely sounds like a must-read for me. Sounds like the perfect combination of genres; I’d love to win a copy. Enjoyed reading about the book. It sounds like one I would enjoy reading. I enjoy reading about the past, in both fiction and non-fiction forms. Every time I do, I am very happy I don’t live then, although if I did, I’m sure I would make do, knowing no other life. Always enjoy reading period pieces. Can’t wait to read. These are some facts that I didn’t know. I love the time period, and would enjoy reading this book. great review….could relate to issues in present times!!!!!! Fascinating details. I cherish my British sixpence picked up in London years ago. Oh, for a farthing — or a new Finch! Will be a great read! I am fairly sure that I do, indeed, desperately need this book! Thanks for the very interesting elaboration of the historical context of why the “Haves” and “Have Nots” “could” or “could not” afford the necessities and/or niceties of life! What an awesome collection that anyone would be thrilled to have. I’ve enjoyed reading Finch’s other books, so looking forward to this one. Read and enjoyed all of the previous Charles Lennox mysteries. Looking forward to reading his latest “An Old Betrayal” . Thanks for the chance to win. ah money money money money! Mr. Riley’s article reminds me of just how much research a novelist must do to create an authentic and accurate representation of a historical period or specific location. Any perceived discrepancy or in accuracy can seriously jeopardize the bond between writer and reader. Looks like a good book to read I like the time frame. Oysters on bread and butter. That sounds good. . . One of the things I really enjoy about these books is the loving relationship between the brothers, and that they had equally loving relationships with their parents. That seems unusual for upper class Victorians, or has that remoteness been exaggerated? I remember in London in 1974 stores had no change. if you bought something you had to have the exact price or you got no change back if you didn’t. Thank you for the giveaway. and in the process have opened up a whole new world of authors and publishers and, well, a bibliophiles dream. I hope to regain my health and continue my education, getting an advanced degree in English Lit, focusing on Victoriana. I tend to lean more to non-fiction than fiction, what you wrote about above is exactly the kind of detail that fascinates me. I am concerned that there is no buzz at all about your book on GoodReads; I hope you’ll remedy that quickly. While I was there, I also checked out The Last Enchantments as well. All in! This sounds like a Winner! As much as I love Mars bars, I’d take the oysters! The poor during this age reminds of the poor today. Nothing has really changed all that much. A well researched historical novel is always a win for me. I would like to read the work of Charles Finch! Would like to discover all about this Old Betrayal. Love the info about money! This doth intrigue me. Kindly post my name. Thanks for the background information. Looking forward to reading this one! Sounds like a fascinating read. I will look for it at my bookstore. I’ve never really given much thought to Victorian money. Thanks for the informative overview. Really interesting. This looks like a very interesting book and a chance to learn more about the Victorian era and how money was perceived at that time. Love me some Victorian setting! Some incredibly rich person just purchased a series of 3 paintings for $140M. I hope he/she also contributes to the disaster in the Phillipines. Not much changes when it comes to $$. Money is always an interesting subject because it is such a global denominator. Would love to read this book! The information on money in Victorian society was very interesting. Nothing changes. Today there is a great disparity between the owners ad managers and the everyday worker. Enjoy the Historical time frames. The story line is intrigriging so want to read this winter. Thanks for the chance to win!! Going into my to-be-read queue ASAP! Sounds wonderful! I would love this! This looks good. Thank you for the contests. Nothing like curling up with a great mystery. Putting the money into context really paints a better picture of what life must have been like in Victorian times. Living on oysters and bread and butter does not sound at all appealing! I love this time period! I try to get my hands on everything I can that is Historical Victorian era. This has already been on my “want list” and “TBR list”. I can’t wait to read it! I devour Victorian mysteries and love to share them with my web site’s followers. I also love to imagine that I would have been among the landed gentrywomen; however, given that I’m quite an uppity woman, I’d probably have been tossed out on my ear without a shilling to my name.